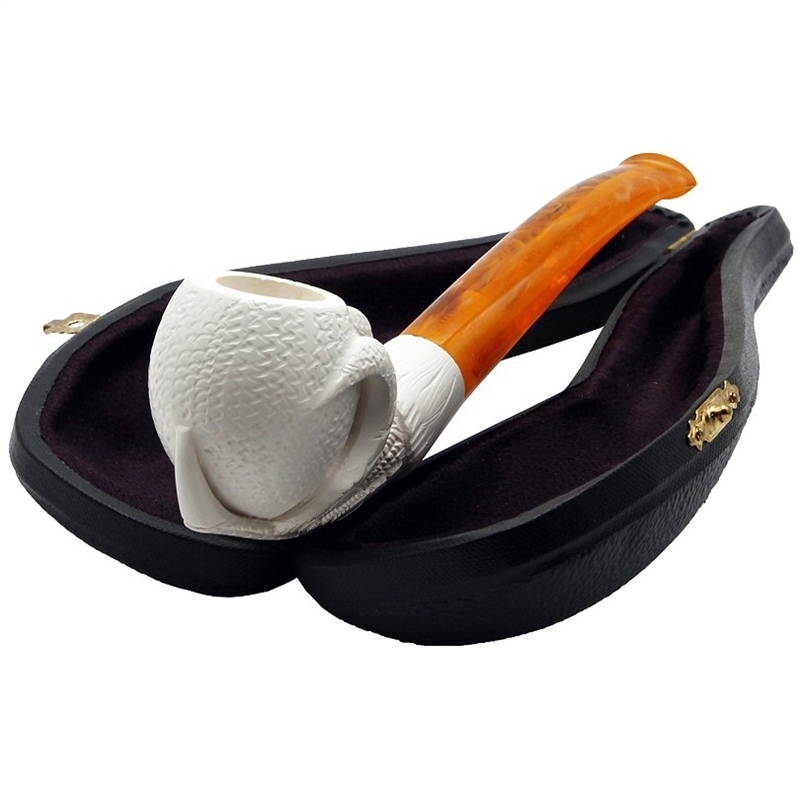 Hand Carved Rusticated Textured Claw Meerschaum Pipe - The bowl of this pipe is carved with a light texture to give a slightly rusticated appearance. Held by a claw, the bowl has a solid thickness to it and is a good feel in the hand. 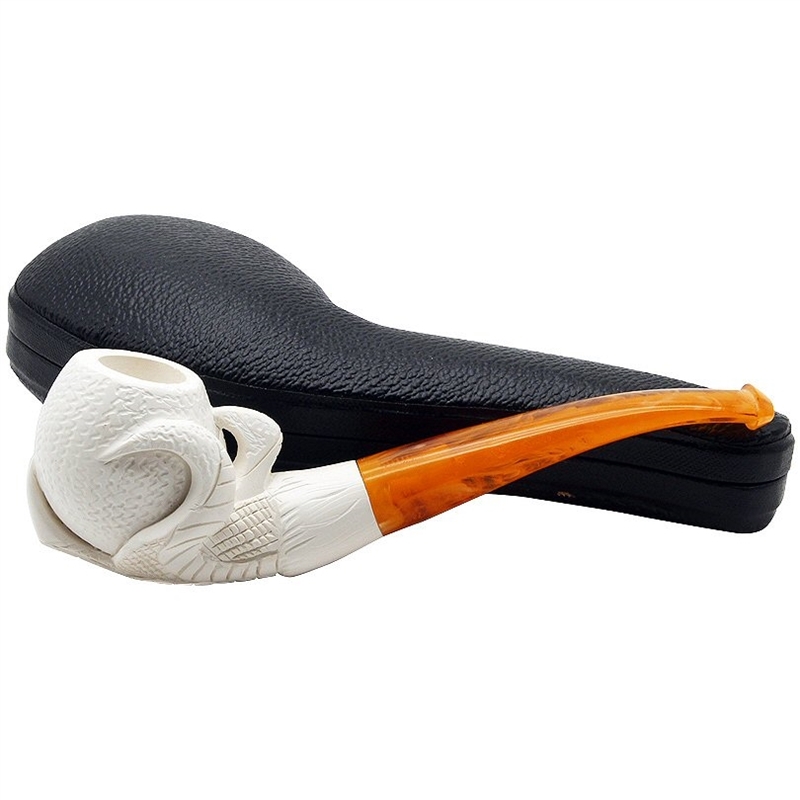 The pipe is finished with a slightly bent amber colored translucent stem.